Mediarific - Mediarific News - Animated media production for themed attractions, theme parks and themed entertainment venues. St. Louis Escape just upgraded their incredible Curse of the Mummy escape room with two new breathtaking CGI effects. The first is a countdown timer formed with Egyptian hieroglyphics that slowly counts down the minutes left by breaking away pieces of rock - the timer also features scorpions and tarantulas. The other effect is an expansive view of the Egyptian night sky which reveals clues after a sandstorm, complete with famous landmarks and burning torches. We also produced a promo video for St Louis Escape, to help market their new attraction. Take a look at the video above to see one of the world's most immersive and incredible escape rooms that makes you feel like you just walked into a movie! The Ghostbusters Escape room recently opened in Washington, DC - and we provided all of the CGI animated special effects in the room including the painting from Ghostbusters 2 that comes to life, a library filled with spooky specters, the containment unit featuring "Slimer" and even a window with a fully animated New York City being attacked by the Marshmallow man! Watch the above promo video which we also created for Escape Room Live in Washington, DC, to help them promote their new attraction. We also created animated media and promotional videos for several of their other escape rooms - including their Teenage Mutant Ninja Turtles room, Friday the 13th, Mummy and Titanic. Mediarific created 5 new CGI effects for Halloween Productions' spectacular and scary IAAPA booth. The effects appear in the exterior windows of the Haunted House. 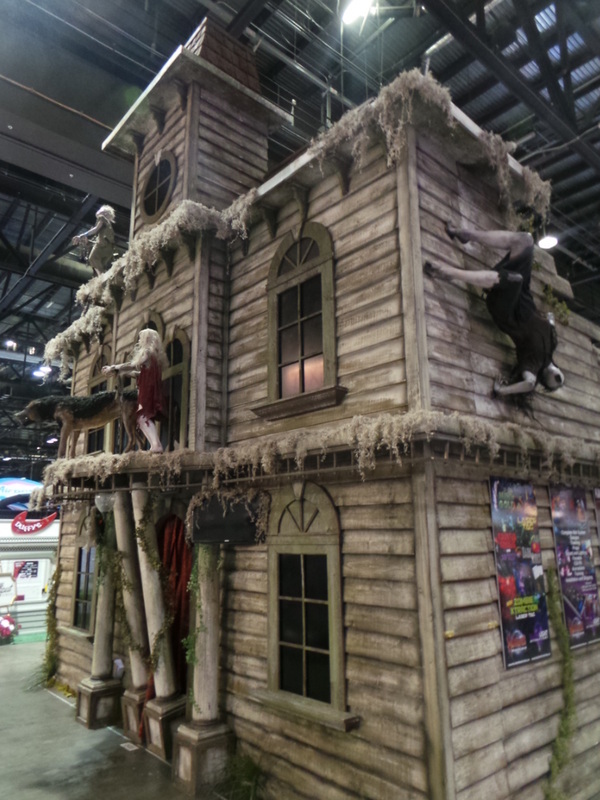 Somehow the team at Halloween Productions managed to squeeze an entire haunted attraction onto the IAAPA floor. Congratulations to Halloween Productions for creating one of the best and most memorable booths at IAAPA 2014. Haunt season is here again, and this year Mediarific created promotional materials for three new haunted attractions in the St. Louis, Missouri area. The Abyss, Supermax, and the St. Lucifer's Hospital are all new attractions for 2014. Mediarific also created 5 new triggerable CG animations, in cooperation with Halloween Productions, for use in the St. Lucifer's Hospital attraction at Creepyworld in Fenton, Missouri. Designed for Blacklight Attractions, this new custom triggerable CG animation features a crazed shark that lunges directly at the viewer. This animation is featured in Pirate themed blacklight mini-golf attractions across the US. Chimelong Ocean Kingdom opened just after the Chinese New Year in 2014, and is proving itself to be a high quality, world-class tourist attraction, already garnering 5 entries into the Guinness Book of World Records and top accolades from within the themed entertainment industry. "Chimelong Ocean Kingdom is widely regarded as a gamechanger, in terms of product quality, originality and as a proving ground for east-west collaboration." 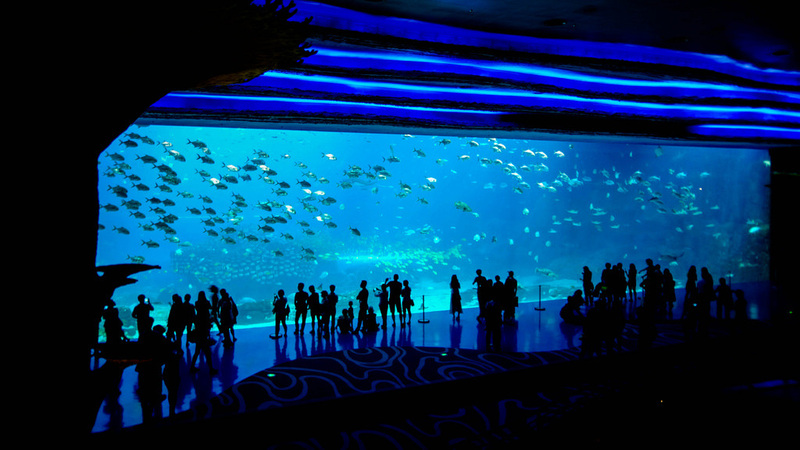 Renaissance Entertainment provided concept design and art direction to Guangdong Chimelong Group, in creating four attractions for Chimelong Ocean Kingdom. Attraction Design Services was subcontracted by Renaissance, and Mediarific in turn was subcontracted to produce animated concept art. 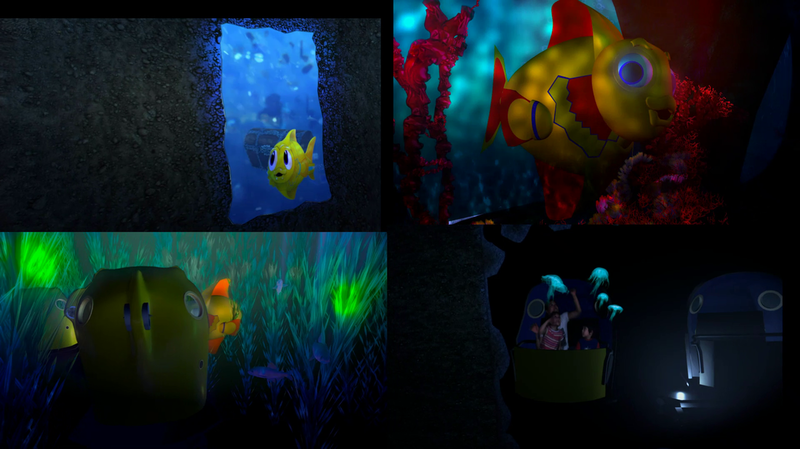 Mediarific's team, led by creative director Jeff Cappleman and supervising animator Emerson Frota, created a full 11 minute 3D pre-visualization of the "Deep Sea Odyssey" dark ride attraction. This dark ride attraction actually passes in and around the massive, record breaking aquarium - unlike any other of it's kind in the world. The pre-visualization went above what was expected and included full-color animatics of the media sequences, animated gobos with passenger activated interactive lighting effects, and simulated video of guests in the ride vehicle enjoying and interacting with ride elements. that our clients requested at the final hour. Jeff continued to come through with revisions and get us what we needed for our client. ...Jeff is a pleasure to work with, he comes through when you wouldn't expect that he would." Mediarific, in cooperation with Halloween Productions, produced 3 new clown themed CG triggerable animations for Terrorvisions, a 3D haunted attraction in St. Louis. One of the animations is a three multi-screen sequence which is installed in a real ice cream truck complete with a motion-base platform. Guests walk into the truck and get the feeling of a chaotic ride through the streets. The other sequences feature a shooting gallery and a claw game. The media features bright vibrant colors and was carefully designed to look dynamic with or without Chromadepth glasses. Working together with Halloween Productions, we created a series of 8 custom CG triggerable animated media effects for a zombie themed 3D blacklight haunted house for a client in Dubai. The haunt season is now in full force, and this year Mediarific created five logos for five different haunted attractions all across the US including 13th Gate, Cutting Edge, Spookywoods, Terrorvisions and the Lemp Brewery. Let us boost your brand's image and promote your attraction. For more details contact Jeff Cappleman, 863-594-2858. The Darkness in St. Louis is one of the biggest, scariest, and most elaborate haunted attraction in the world. 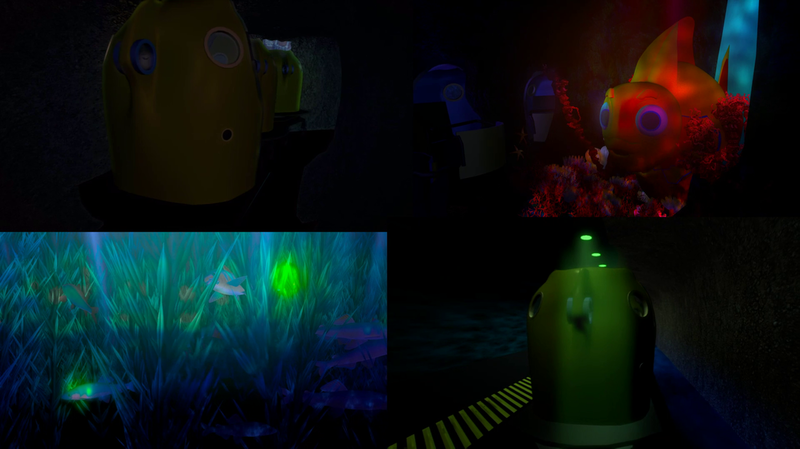 Mediarific produces six triggerable CGI animations for the haunt. Each animation features a buffer (a relatively quiet animation with subtle motion, for instance a window with a burning building in the background), followed by a trigger (A sudden scare, for example, a demoness leaps up and breaks the window). 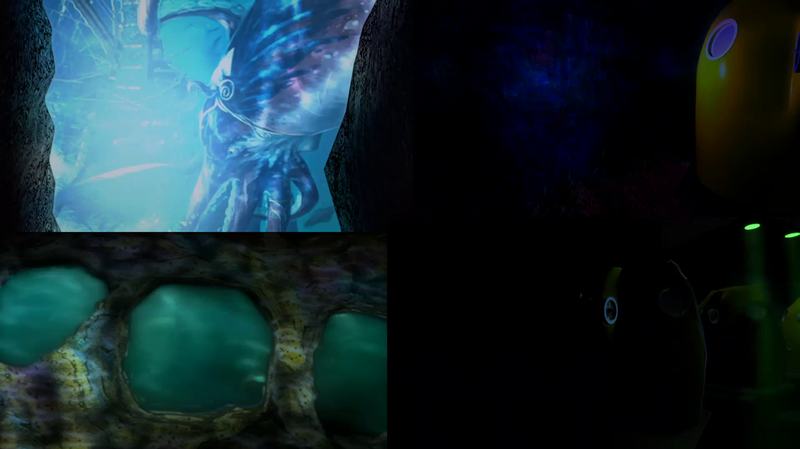 Each animation was installed with a physical, visceral effect timed to match the animation. During the scare, real water, air or CO2 fog is blasted at the guests. One of the animations, the Clown, was produced in Chromadepth - for a 3D appearance with the use of Chromadepth glasses. Jeff Cappleman supervised and art directed the sequences, with Emerson Frota leading the team of 3D artists.